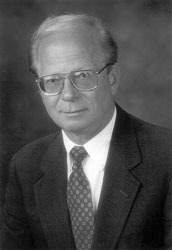 David L. Ohlms, M.D. has been a practicing physician in the field of alcoholism and addiction for 30 years. He is one of the world's most popular and respected authorities in the field of addiction disease. Dr. Ohlms is perhaps best known for popularizing the medical concept in which alcoholism and other such addictions are defined as primary diseases. His videos are seen everyday by thousands of patients in substance abuse treatment programs, in this country and abroad. His straightforward, non-technical style has made his presentations a central part of alcohol and drug training programs for business, industry, and schools. Dr. Ohlms is on staff at Deaconess Hospital, St. Mary's Health Center, St. Joseph's Health Center, St. John's Mercy Medical Center, and Depaul Hospital (all in St. Louis, Missouri). He has also served as Chairman of the Missouri Mental Health Commission. In addition, Dr. Ohlms is President of Mid-County Physicians, a medical group which specializes in addiction treatment, and he is the founder of Ohlms Institute, a consulting and training firm in St. Louis. Dr. Ohlms is the current Medical Director for CenterPointe Hospital CD Program in St. Charles County, Missouri. His popular videos provide scientific information on a wide variety of drugs. Below is a listing of his many films available through FMS. Hosted by Dr. David Ohlms. A look at what inhalants are, how they work, and their effects on the brain, other body systems and organs such as the liver and kidneys. Hosted by David L. Ohlms, M.D.